I must admit... that all this time I've looked at these colors as orange, tan, and green... and now that I'm looking at it in a different light, I'm seeing what I thought as orange might just be brown... but I think it's an orangey brown so .... anyway, the colors did inspire me, although the ones I used are a little brighter. 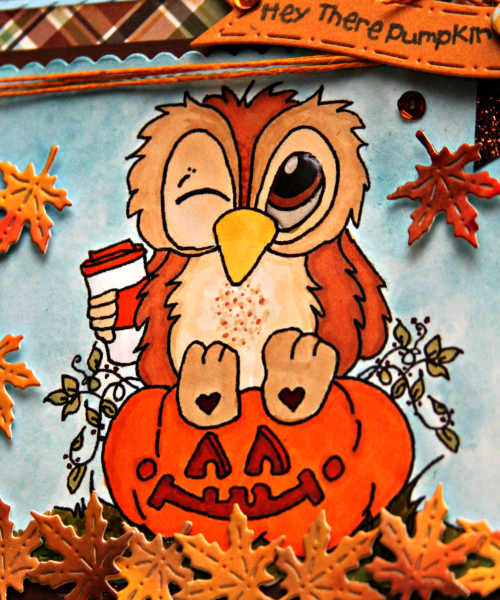 I was also inspired by the baked goods and the pumpkins. 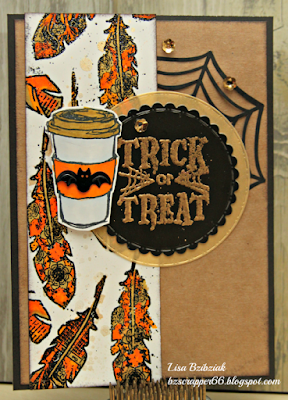 And what do you do if you want to make a Halloween card, but you don't have any Halloween stamps? 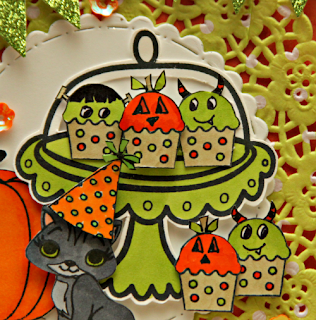 You take the little cupcake from the I Love Summer stamp set and make little monsters out of them... and then through the use of color, give it a Halloween party theme! Pretty happy with my little monster cupcakes I must admit! And I used the Eat Cake stamp set for the cake stand and just cut out the piece of pie that was on the image. And then you take the cute little kitty from the Sweeties Pets set and the pumpkin from the Thankful set. 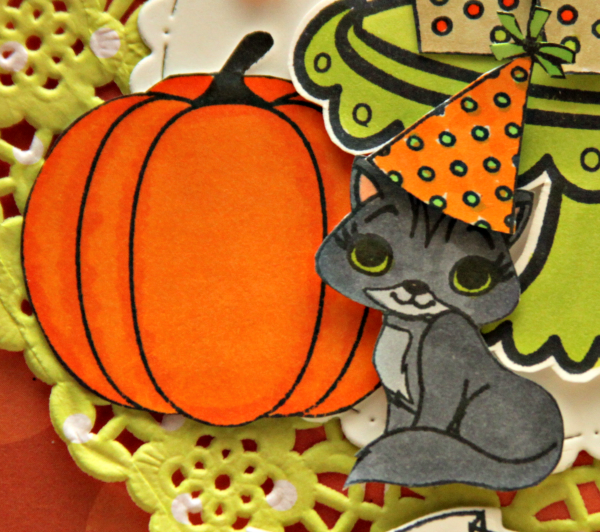 And her cute little Halloween party hat is from the Birthday Banners stamp set. 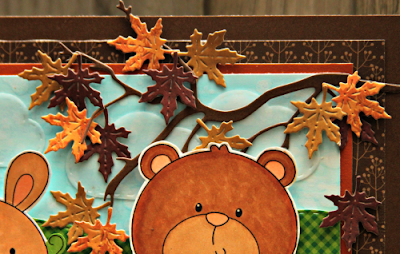 Be sure to head on out to all of the Design Team blogs and see what they've created for you! Don't forget to come back on the 14th for the new release! 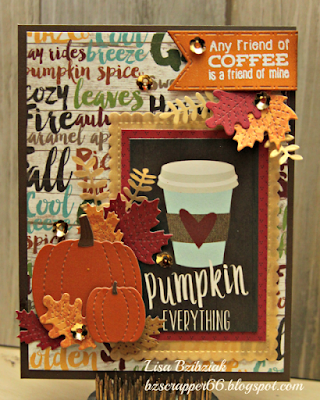 Aside from my leftover sentiment (when I stamped it, I stamped the fishtail banner pointing in the wrong direction so I had to do it over but of course I saved it for later use), there is no stamping on this one... just dies and papers... and I'm not even sorry! 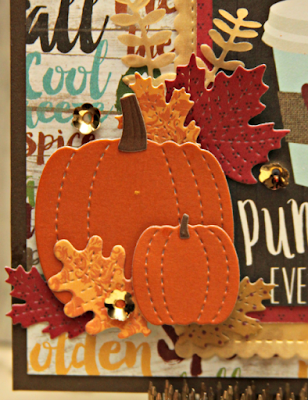 I cut the pretty pumpkins from some Memory Box dies and the fall colorful leaves are from Lawn Fawn as well as the pretty gold leaves. 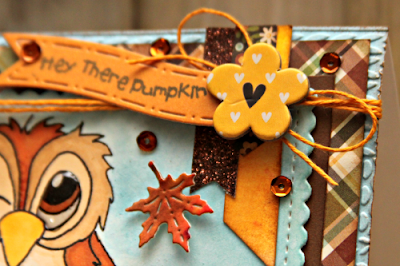 And here's that sentiment that was in the paper pad... LOVE! #Pumpkinforpresident! 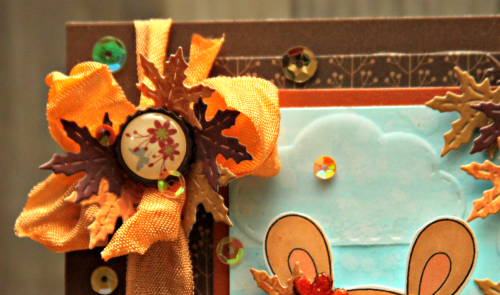 And yeah... of course I added some gold Paper Sweeties sequins... I mean... why wouldn't I? So if you are really good you just might be able to squeeze a project in for the Coffee Hop.. it goes until 11:55 pm Pacific Time tonight. So, thanks for sticking with me this week! Don't be a stranger and hey... Paper Sweeties Inspiration Challenge starts October 1st Eastern Time so... hey...it's already live! Be sure to check that out! Coffee Hop Day 7 (Sniff) and The King! 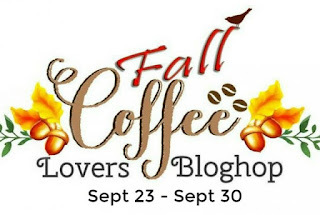 Day 7... only one more day to go for the Fall Coffee Lovers Bloghop! SEEN RECENTLY AT YOUR LOCAL COFFEE SHOP! Have you checked out Sweet Stamp Shop? They have got some cuuuuute and different stuff! I picked up a couple coffee sets a little while ago ( #amymademebuyit ) and then an even littler while ago they had a special release that included none other than the King! 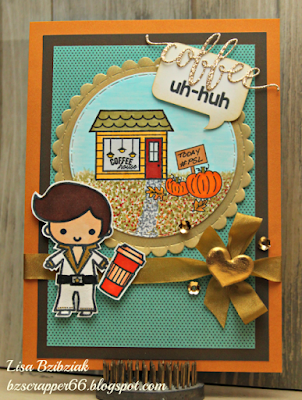 This is a really cute set and you must check it out! And who knew he'd love Pumpkin Spice Lattes?? Well, of course he would... only the best for the best! 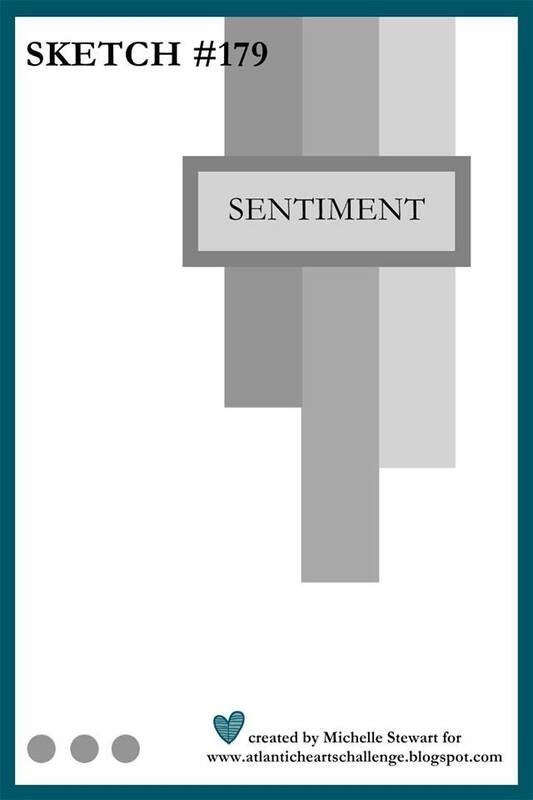 And I thought the Uh-Huh sentiment was perfect... 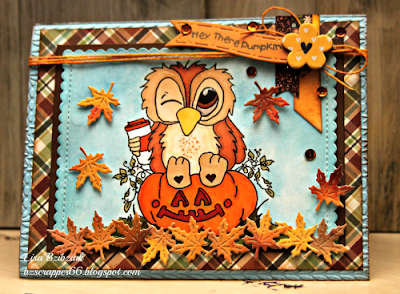 I had a little help from my Paper Sweeties Wagon Add On for the pumpkins, leaves and sign... I handwrote the message because ... well... I didn't have the stamp I wanted and I figured a sign outside a little coffee shop in Northeast Podunk might have a handwritten sign! So thanks for stopping by... back to what I should be working on... hope you got a giggle... I had a few while I was working on this this morning. I'm sorry... but I have to confess... 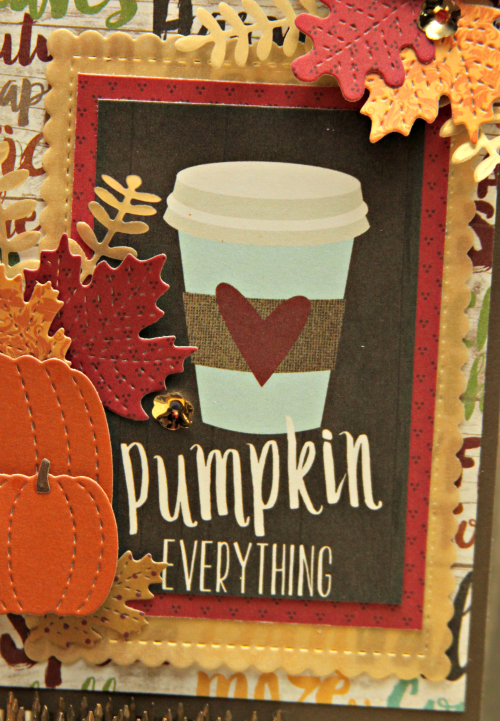 I am not just a coffee addict.. but I'm also a pumpkin addict... aside from the beautiful foliage (not here where I live, but in other places) my favorite thing about Fall is the pumpkin flavored everything!!! LOVE! 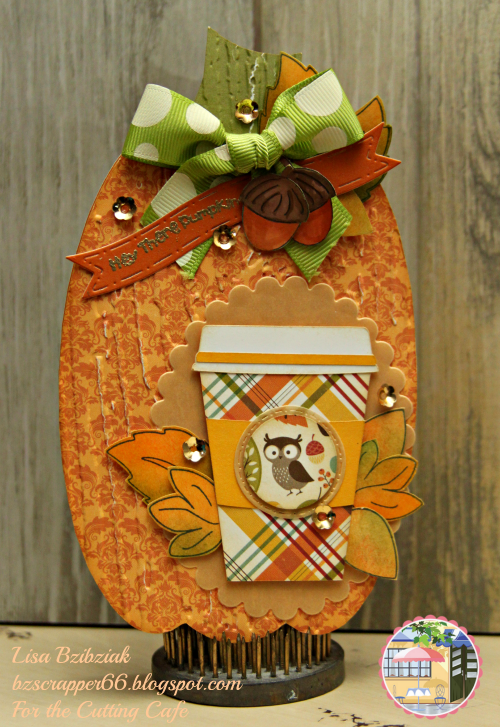 For this card I used the Pumpkin Shaped Card file from the Cutting Cafe for the card base and pumpkin elements. It was so easy to use this one and I just kept everything grouped when I brought the file in... made it the size I wanted and cut it out! Simple! And so adorable! The cup is from another file I've used before, Coffee Cup 2. 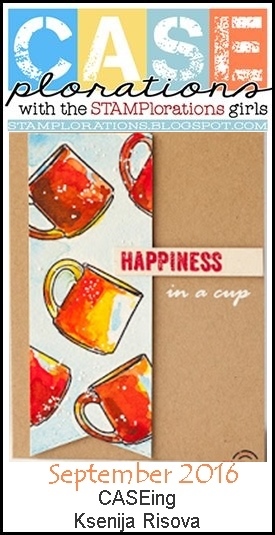 Another awesome file that also comes with some really cute sentiments which I didn't use here, but you will use them over and over again if you love to make coffee projects! The papers were all from the Echo Park Fall is in the Air Paper Pad which is available in the Cutting Cafe Shop that offers clear stamps, crafty supplies, and custom made stamps as well! 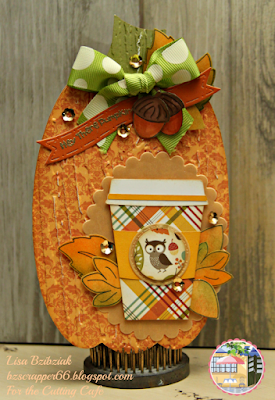 I used the Cutting Cafe Custom Stamp that Regina made for me for the leaves, acorns, and sentiment. I picked out some images from The Cutting Cafe digital files and Regina made me a stamp set! So cool! Only limited by your imagination... you should check it out! And that pretty bow... I was trying to decide what to do and I came across this beautiful bow that came in one of my orders from The Cutting Cafe... couldn't believe it... it was PERFECT!! So... thank you Regina! I must say... she packs her packages so that when you open them it's like opening a gift... LOVE it! And the Coffee 2 file also comes with a pocket for a gift card.. 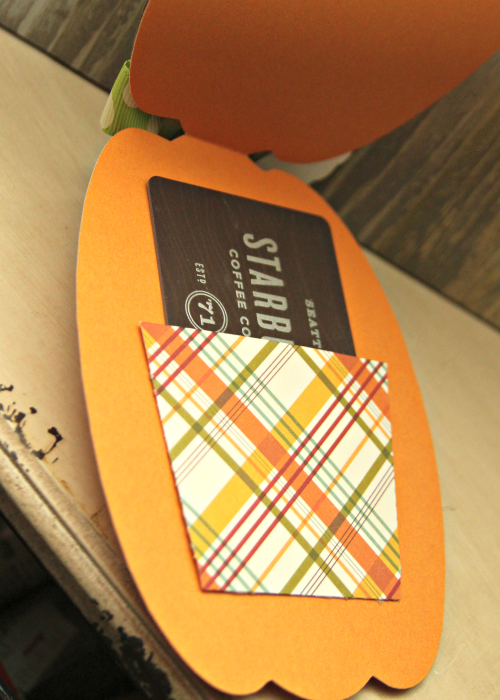 I put mine on the inside and will add a sentiment to it as soon as I decide who I'm sending it to and why... for now, I'm just loving the plaid! Thanks for stopping! I must get to work so I really hope I can see you tomorrow, but you just never know! Maybe something simple? Is it possible?...lol! Have a great day! Coffee Lovers Hop Day 5 and Craftin Desert Divas! These cute little digis are available in the CDD shop and the bear is a freebie during the hop! Did you get yours yet?? Did you create something with him yet? 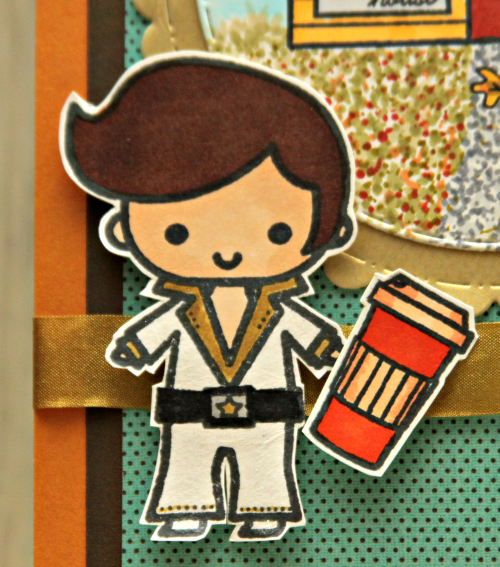 He's adorable and you can find him here! A complete list of CDD products I used is at the bottom of my post. 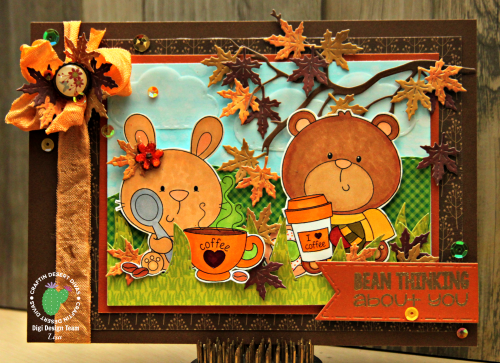 I decided instead of having coffee alone, my little bear should be hanging out with a friend and having a chat so this cute little Coffee Time Bunny came along for an impromptu coffee picnic amongst the beautiful fall foliage! She thought the leaves were so pretty she stuck one in her "hare"... tee hee. He thinks she looks just adorable... but he must be from Arizona because he finds the air a bit chilly... he needed to wear his sweater, scarf and mittens... hopefully his coffee is extra hot. And have you gotten your Urn Dies yet that were just released? 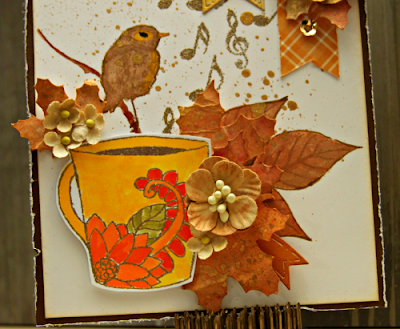 This branch and those beautiful leaves were cut using the Urn Dies and some scrap paper in just the right colors.. LOVE it!! I think you need this one! Although Tara, I really could stand a whole sheet of these leaves.. maybe an overlay that could be used as a background and the leaves can be used as well?... just sayin'! Thanks for stopping by! Hoping to see you again tomorrow... 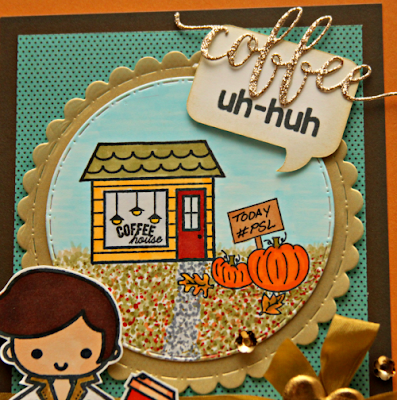 I'm thinking Cutting Cafe! Let's see if the pup cooperates... otherwise it may be Thursday...lol! Happy Hopping! Atlantic Hearts and Coffee Hop Day 4 1/2! So... my intention was to make a CAS card...lol... which didn't quite work out as such, but I'm happy so I guess that doesn't matter...lol! 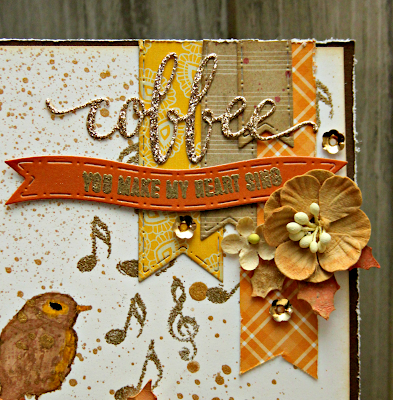 The bird on this one came from Skipping Stones Designs Best of Birds along with the sentiment and music notes and the coffee cup is from their Coffee Volume #2 set. They have quite a few coffee sets and a whole bunch more beautiful stamp sets and you should check them out! Thanks so much Skipping Stones!!!! 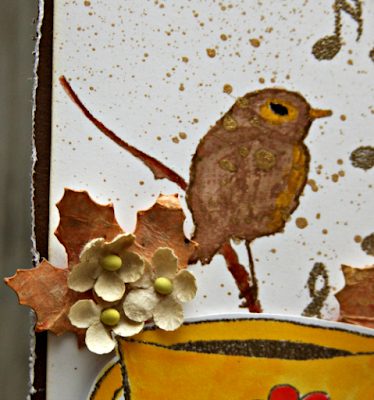 I stamped this pretty bird in a light brown to kind of try a no-line look and then used my Zig watercolor pens to add some color... this bird actually does have some print on it... music notes and such and you can see it in person, but it's hard to see in these pics... but I like that it's very subtle. I made the decision to have my cup be very bright in comparison to the Fall leaves and I love the way it turned out. I made sure to add a little yellow to the banners at the top to move that color around a bit. The leaves in the background were stamped onto the base piece using a very old CTMH leaf stamp set and then watercolored similar to the bird and the dimensional leaves were left over from a previous CTMH card I made with the October Stamp of the Month. So here is the sketch...lol! And I just realized I forgot to add the three little... sequins, sparkles, buttons... whatever to the bottom left corner but I'm not looking back... I'm running with it! Hope you come to play along with us this week at Atlantic Hearts! And be sure to come back tomorrow... I'm thinking maybe a little CDD action.... thanks for stopping today! So here we are again! Did you know that for this hop Jessica over at JessicaLynnOriginal.Com has created this awesome new Brentwood Owl image and is giving it away as a Freebie for the hop! Click on this link to learn where to download the image and create something to enter into the hop! If you've been following me for any time, you know that I love Brentwood and that there are lots of different Brentwood stamps to choose from. And Brentwood is a pretty fun guy! He likes to dress up and do lots of different things. You should really check out all of the images at JessicaLynnOriginal.Com. The pretty paper I used is from Simple Stories... um... plaid? Yes, Please! He's handsome, right? #BrentwoodforPresident ! And don't you love those leaves... 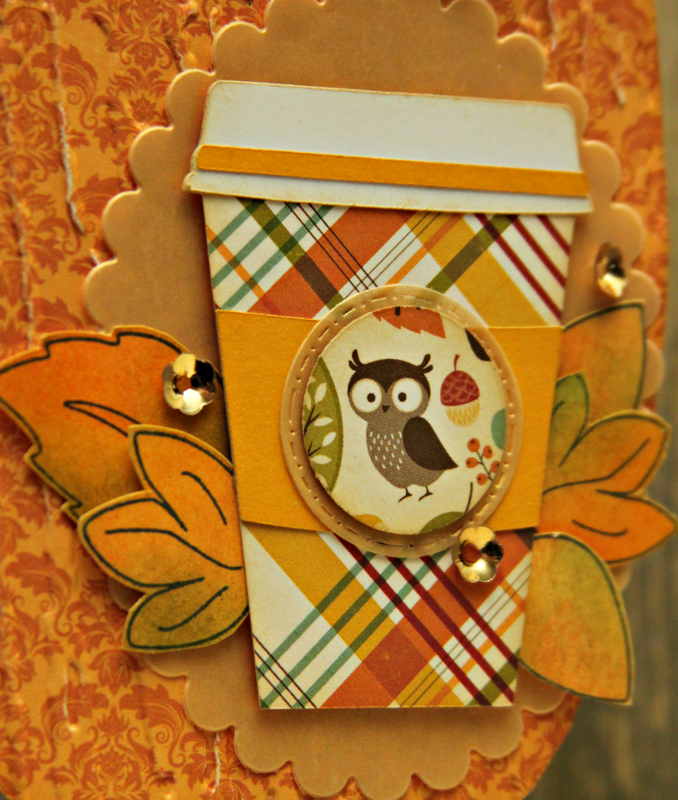 I cut those using a new CDD die included with the Urn set from some scraps of watercolored paper I had leftover. 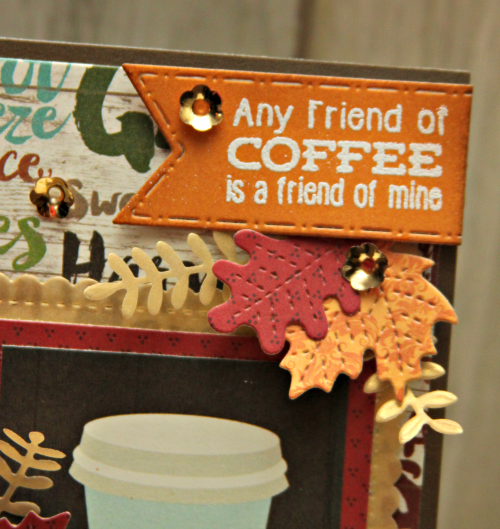 And I just finished it off with some twine, a chipboard flower from my stash and some sequins from Pretty Pink Posh... not to mention that cute sentiment from The Cutting Cafe on a banner diecut using my CDD Flag Banner Dies. 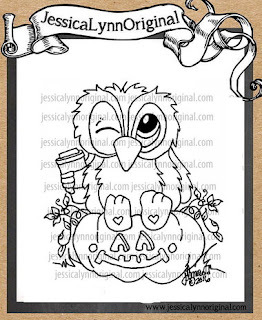 So thanks for stopping by and be sure to head on over to the JessicaLynnOriginal website and get your freebie and create something adorable! 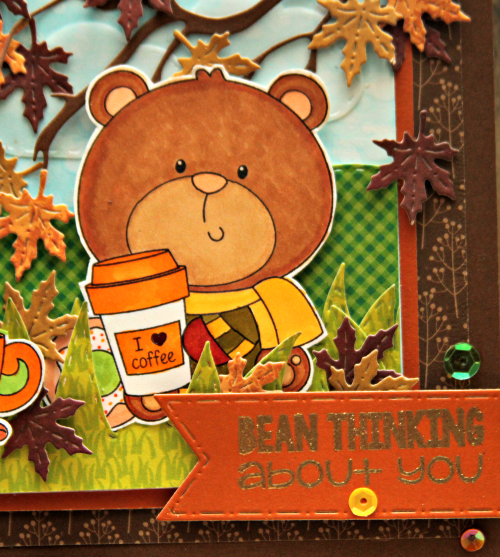 And don't forget to check out all of the other awesome Brentwood clear stamps and digi images available... they are all so adorable!! And come back later for the Atlantic Hearts Sketch Challenge!... That's just a suggestion... not an order. Coffee Hop Day 3 1/2 - Yup, Two Today! You say Trick or Treat? I say Treat definitely!! And I invite you in for a cuppa! So I'm back again today with another card for the Coffee Lovers Bloghop! I mean.. it IS Sunday so... it is the Day Of Crafting. Well, I got this idea and even though it wasn't in my plans, I had to get it on paper. Plus I had a few special challenges I wanted to take part in so I decided to make room for this one! So, I'm a big fan of Lori Hairston over at ChouxChoux Paper Art and if you're not familiar, you should become familiar! 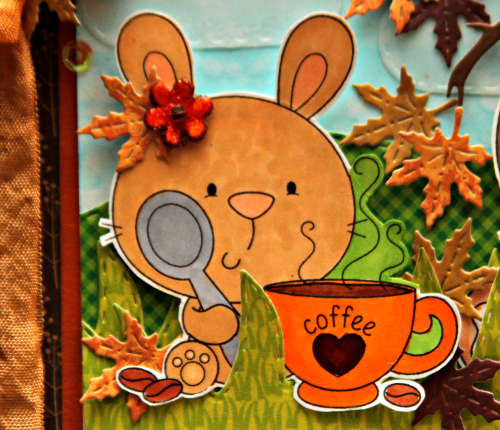 She makes some of THE Most Adorable creations you've ever seen and she always treats us with a freebie image and a video... I don't mean to put the pressure on... it might not be always, but I don't remember a time when we didn't get both! She also makes some adorable badge buttons and sells them in her Etsy shop along with some card kits and a few other items and you can find that here! 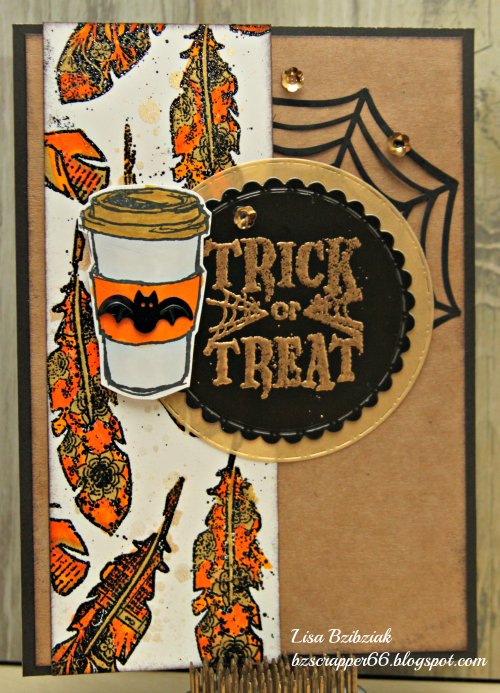 Right now she is having a Halloween Challenge on her blog and you should play along... I am! I also like to play along over at Stamplorations whenever I get the chance. This is one of the first coffee stamps I ever bought and I bought it from there... it's pretty plain so you can decorate it however you want and it comes with a sentiment and a cute little coffee bean. 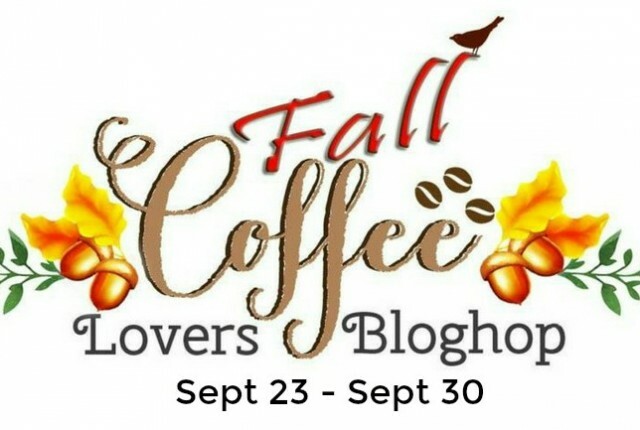 It's called Latte Love and I do have a lot of love for it! I'm playing along with the September Caseplorations Challenge and the inspiration card is below. I love checking out the creations over there whenever possible because there is so much inspiration in one place... LOVE Stamplorations! And see this awesome sentiment that I embossed in Aged Gold embossing powder onto a circle I diecut with my CDD Stitched In Circle Dies... 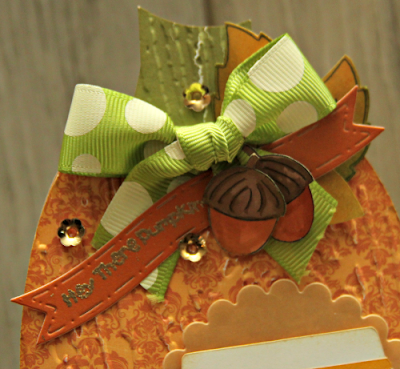 I won that last Fall from a challenge over at Choux Choux Paper Art... and it was perfect for this card I think. 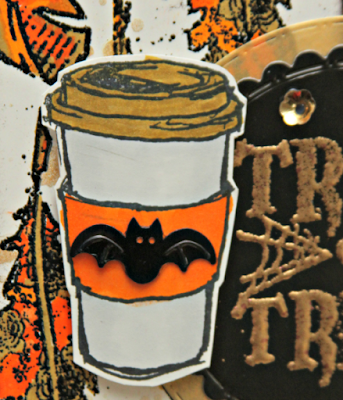 Oh... btw.. have you figured out yet how awesome some of the packaging that our crafty supplies comes in is to cut out diecuts? 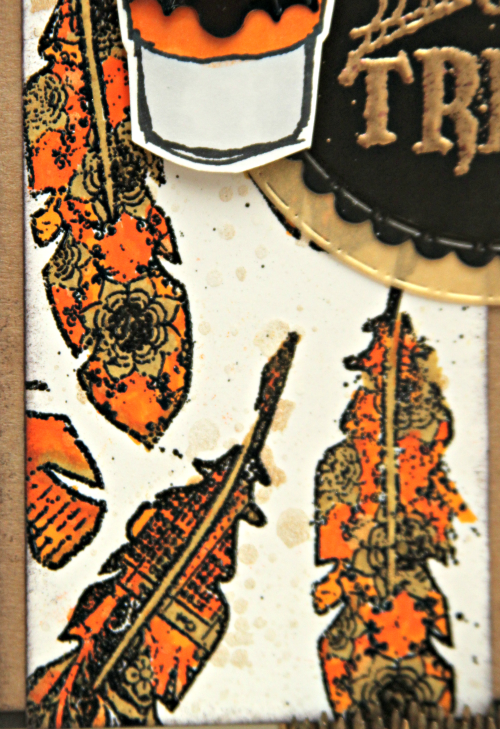 That black piece is from the packaging an embossing folder came in... I saved the rest... it will get more use for sure! See that black web doily behind the gold vellum and of course, the gold Paper Sweeties sequins.. my supply is getting low... I better put that on my list! And these feathers!! These are the Trendy Feathers 2 from Stamplorations and they are one of my favorite sets for decorating all kinds of creations. The designs on them are gorgeous and I love that those flowers look kind of like webs on the one feather. I embossed them sloppily in black and then used my Zig watercolor markers to color in parts and then my gold Wink of Stella brush to add some golden yumminess. Then I dropped some gold color shine all over it which I don't think I shook up enough, but I decided that's ok because it looks even more grungy since it's not so gold. 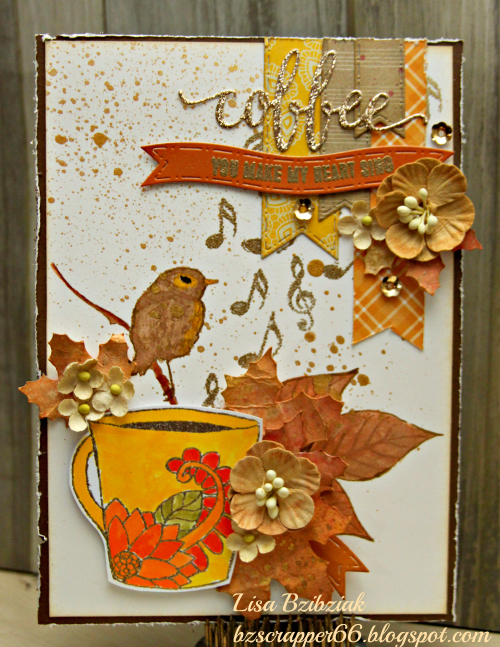 I am also playing along with a challenge that's new to me over at the Dragonfly Journeys blog. 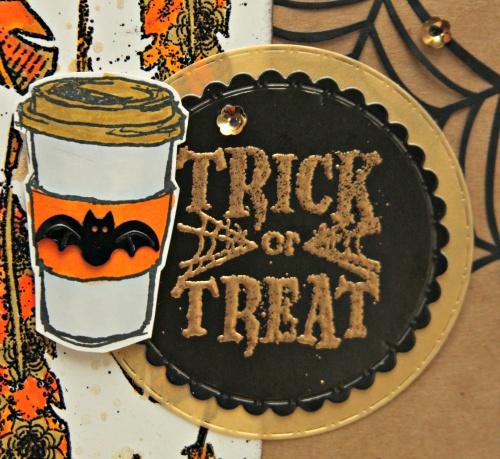 It's just a blog run by a girl that loves to create and loves to inspire and be inspired and the prize is a handmade card and a few crafty items for you to use in a future project (I used some of those on this morning's project from my birthday surprise). 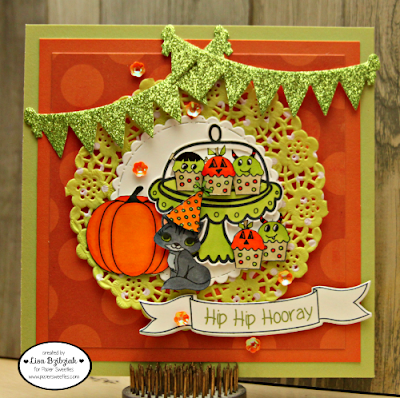 Challenge #75 is Shake Your Tailfeathers! So yeah.. I'm basically playing along with four challenges! But I made this card specifically for those four challenges and it's a stretch for me, but I think I did it! So thanks for bearing with me and stopping by again today! I'll be visiting more blogs this evening, but for now... back to my table... have to get my project ready for tomorrow's Atlantic Hearts which just may or may not have a visit from everyone's favorite coffee loving owl.. hmmmmmm..... oh and here's the Inspiration Photo for Stamplorations! See you around the hop! Paper Sweeties September 2016 New Release Rewind! 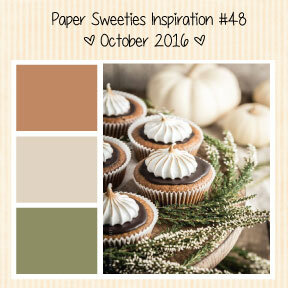 Paper Sweeties September 2016 New Release Party! Color Dare Boss and More Atlantic Hearts! Spraypainting on Vacation?! Highly Suggested!